Camp Widjiwagan counselors have been known to tell young campers (including this author) certain tall tales as they ventured up through the Boundary Waters Canoe Area in Northern Minnesota. Crossing into Canada, for instance, they would say that if you squint hard, you can see a “border chain” hanging in the lake below. Some kids laughed it off — others were convinced they could spot it. 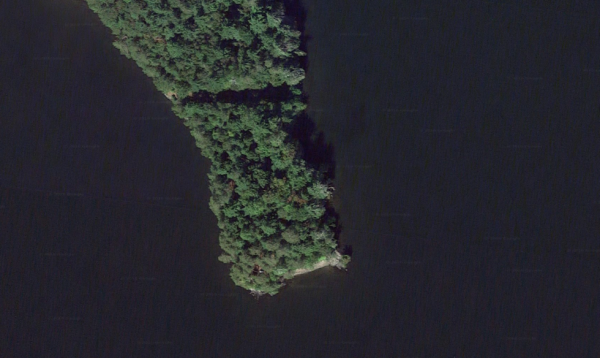 This mythical nautical divider was an inside joke among counselors, but the land border is more visibly marked than many people realize. Stripped of trees, this slice runs through national forests and over mountains. 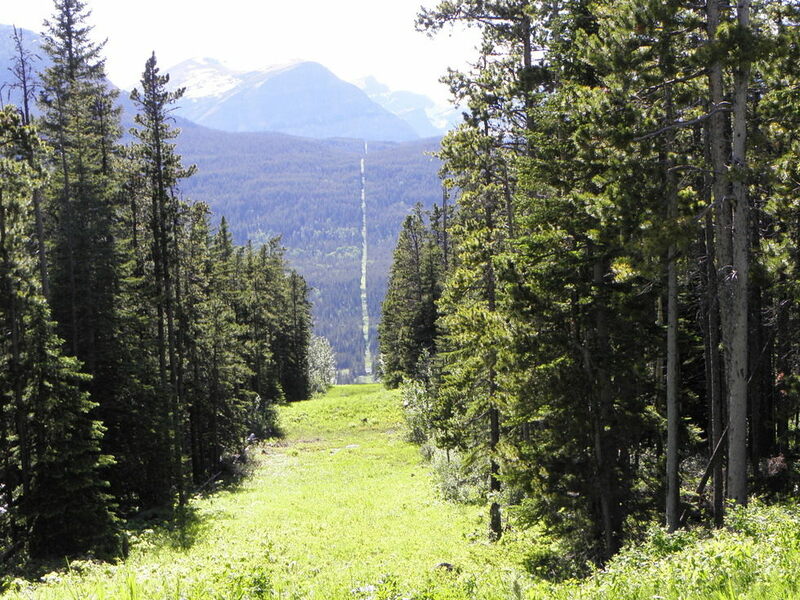 It is too long and remote to be continuously cut down, but every few years (longer on the Western sections, where growth is slower) workers freshly deforest the greenery that grows back. It might seem unnecessary, but there is a reason for this intervention: a person on either side wandering close to the border can see it and recognize they’re approaching the line. So each year, American taxpayers pay around half a cent each to the International Boundary Commission (IBC) to help periodically maintain this dividing void. The work is split between countries. Per Julia Shipley, “U.S. and Canadian divisions of the IBC both have their own staff, equipment and budget. The two groups meet once a year to divvy up their work.” Crews of five to ten people are sent out to various locations. To the east, many of the crews stay in motels — in the west, they camp out. “It all started in the 1800s, when the US-Canada border line was set at the 49th parallel,” writes Lew Blank. 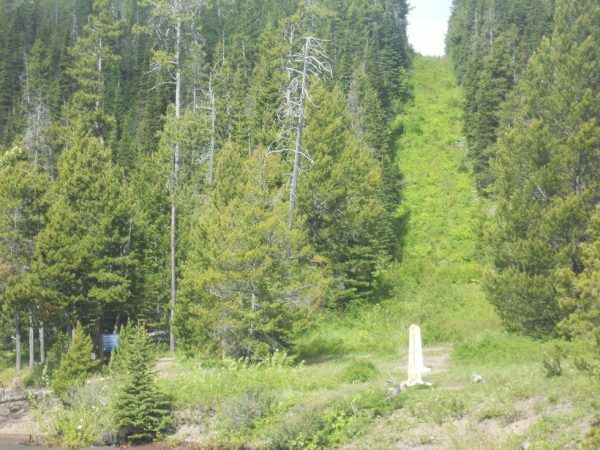 “The Slash was cut and over 8,000 original border markers were laid down, most of which are still standing along The Slash to this day.” But without GPS systems, the markers strayed by hundreds of feet in many places. Other mapping errors led to the creation of things like the Northwest Angle. 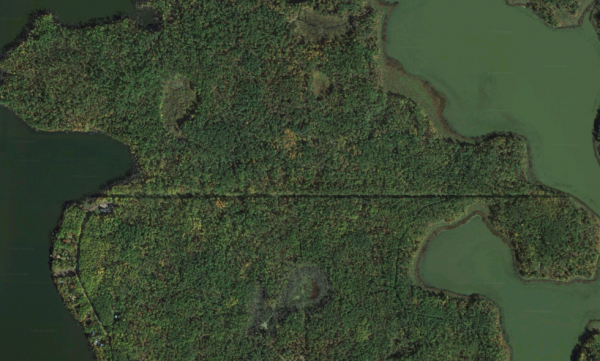 The Slash also seems like a unique opportunity to travel from coast to coast — an intrepid hiker and paddler could perhaps portage and kayak through otherwise overgrown sections, forever following the thin line. Not that I’m dumb, but if The Slash is continuous, how does it end in Alaska and not in Washington state? This might have made sense 100 years ago, but today, in the digital age, this is pretty stupid. Take a hint from the European Schengen Zone. Likely, it would be a terrible route to hike across North America in many sections. 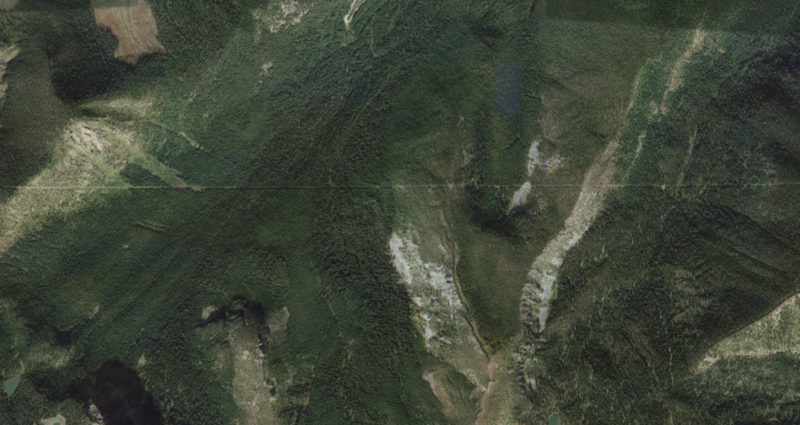 The low growth would probably be impassable compared to the adjacent forest. If you’ve ever hiked through the woods and had to cross a right of way, they can be completely choked with bushes which constantly try to close off the trail. We took the boat from Waterton to Goat Haunt in Glacier where we were greeted by US officials. 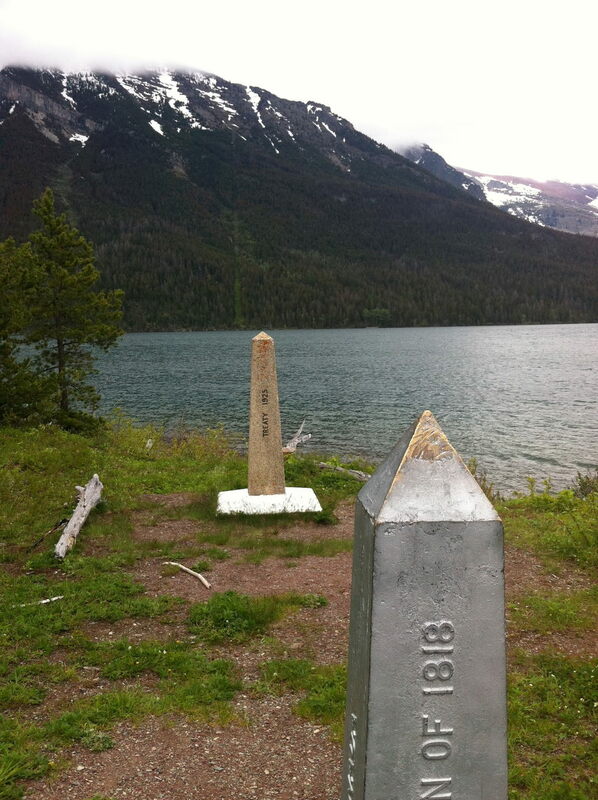 Then we hiked back along the lake past that marker to Waterton. No Canadian officials to welcome us home. The slash goes right up to the tree line on the mountain.